Looking east on Century Boulevard. Photo by Jose Ubaldo/Metro. 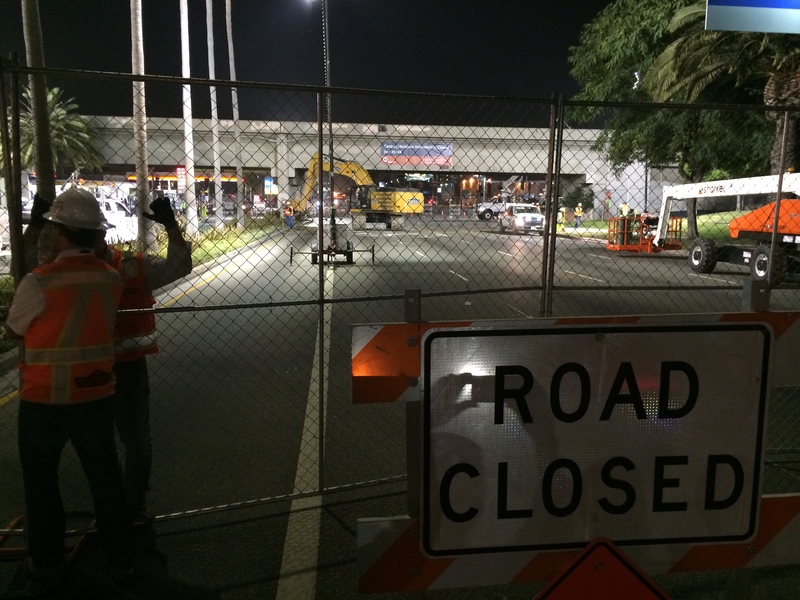 Road closures were staggered throughout the evening and the intersection of Aviation and Century is now closed. The video below shows equipment being moved into place that will be used to demolish the old railroad bridge in order to make way for the Aviation/Century Station for the Crenshaw/LAX Line.